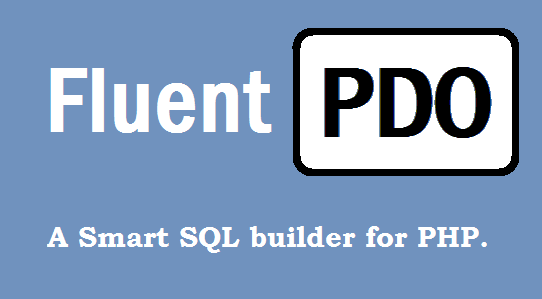 FluentPDO is small PHP library for rapid query building. Killer feature is "Smart join builder" which generates joins automatically. FluentPDO is a perfect choice for small and large projects. Here we have two ways to install the FluentPDO.One is the prefered way using composer and the second is manual installation. then update your dependencies with composer update. In manual installation, you just have to copy /FluentPDO directory into your libs/ directory. If your project hasn't libs directory then simply create it. Now include the FluentPDO.php file by using the following line in your script. Below are the examples of how you can use FluentPDO for the basic CRUD operations. The orderBy() method is used to order results with specific criteria. Let’s make an example: here’s how to order results by price, from cheapest to most expensive. If you want to invert the order (getting results from the most expensive to the cheaper) you just have to add "DESC" after the column you choose. The having() method has a very simple syntax. In the next example we are filtering every item with a price lower than $500. With the groupBy() method you can group results using a specific field as a criteria. Here we are showing an items count for every brand. It is very easy to set limit and offset parameters to retrieve only a certain number of rows from the database. You can use the limit() and offset() methods like this. You can also fetch a single column, specifying its name as a parameter. With fetchAll() we have control on what to take from the result. The first parameter, $index, is used as index, the $select is useful to specify what fields you want to pick up. ohh just using leftJoin() method it has became very easy to write and understand. Actually, FluentPDO understands what you want to do and automatically builds the query using the data you provided in the select() method, with a table.field_name format string. So from the above examples you can see that how its easy to write joins query with FluentPDO. FluentPDO is a small and simple project. Its suitable for some projects only and absolutely not for every project.